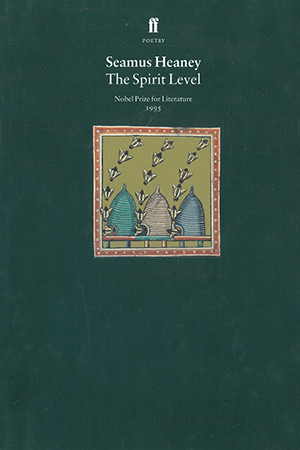 The poems in The Spirit Level continue to acknowledge the ‘everyday miracles and the living past’ which the Swedish Academy recognised in its Nobel citation in 1995. In it, private memories, classical scenes, domestic objects – a whitewash brush, a sofa, a swing – are endowed with talismanic significance, while friends and relatives are invoked in poems such as ‘Keeping Going’, ‘At Banagher’ and ‘A Call’. As the name suggests, a recurring theme is that of equilibrium and balance, between spiritual and political, past and present – the condition of being, in the words of its iconic final poem ‘Postscript’, ‘neither here nor there’. On its publication in 1996, The Spirit Levelwon the Whitbread Book of the Year.